Calvià Town Council wishes to express to all local residents and visitors that it is especially aware of the importance of pets within our society, in which many families enjoy the company of their pet as just another member of the family. 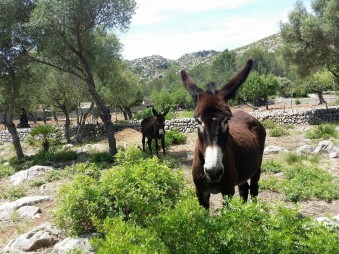 Within this framework of principles and respect for animals, the Council has implemented a set of actions designed to enhance animal welfare and improve coexistence between people and animals, as well as raise awareness among the general public so that animals and humans can share spaces in an ever more harmonious and rewarding way. The municipality of Calvià currently dedicates approximately 9,585 m2 to a total of nine dog parks distributed throughout the local towns. These parks allow pets to play freely, exercise, and do their business, all under the supervision of their owners. Dog-friendly beach areas have also been allocated and set aside for dogs and their owners along two stretches of the municipality’s coastline, in Punta Marroig, in Palmanova and Cala des Gats (Costa de la Calma). 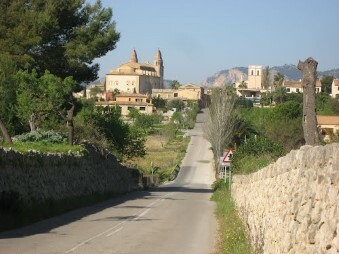 The 145 km2 municipality of Calvià is located in the western part of the island of Mallorca. The area’s geography makes it one of the most attractive on the Mallorcan coastline, with 26 beaches, each of which has its own special characteristics. And that isn’t all, because Calvià also boasts a unique and beautiful inland area where visitors and residents can enjoy magnificent mountain landscapes full of pine groves, almond trees and a wide variety of native flora. Calvià’s predominantly young population has a special influence on the characteristics of the local area. This population is distributed in various towns on the coast and inland: Cas Català, Illetes, Bendinat, Portals Nous, Palmanova, Magaluf, Son Ferrer, El Toro, Calvià Vilà, Es Capdellà, Galatzó, Santa Ponça, Costa de la Calma and Peguera. All of these have excellent transport links, with a road system that allows swift, comfortable journeys both within the municipality and to the rest of the island. There is also the landscaped cycling and walking path known as the Passeig Calvià which connects and runs through most of the local towns, covering a total distance of 32 km. The local economy is mainly fuelled by the tourist sector, with just a few remaining pockets of other industries such as agriculture and livestock farming. Calvià boasts an extensive range of accommodation options that are complemented by an excellent offer of sports and leisure activities. It’s no surprise, then, that over a million tourists flock to the municipality of Calvià every year. There are numerous hotels catering to pets and their owners in the local area with a wide range of options from hostels to five-star hotels, so visitors can choose the accommodation that best suits them and their best friend. In Calvià, we are delighted to welcome you and your pet, so come and visit us soon: it could be the start of a beautiful friendship – for you and your pet alike!